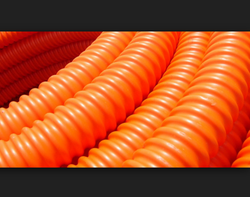 We are a leading Manufacturer of electrical pvc pipe, orange flexible pipe and flexible plastic pipe from Indore, India. We are the leading supplier of Electrical PVC Pipe made available to our clients at competitive prices. Looking for Flexible Plastic Pipe ?